Obverse description: Bare-headed bust left; in front, a sceptre (this side missing). Reverse description: Short cross voided with CRUX in angles. 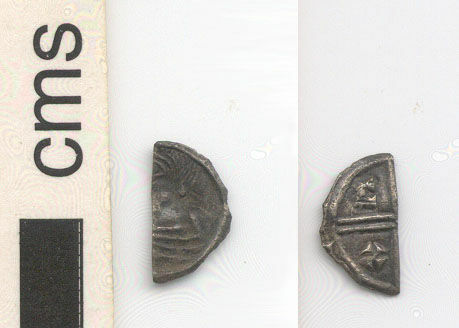 Clipped cut half now a quarter surviving due to a break, of Aethelred II crux type, 991-997 AD.